Ah yes, another Fledermaus recording. As if there aren’t enough already, right? 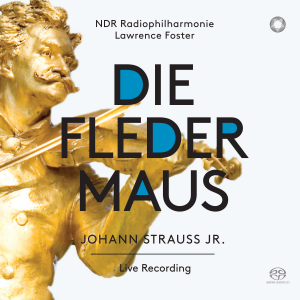 Well, actually, this one from the NDR Radiophilharmonie and conducted by Lawrence Foster is quite fun to listen to. Very alive and energetic, with some joyous casting choices: among them Laura Aikin as a American Rosalinde with some fun dialogue moments on top of great singing. But how does this double CD on Pentatone compare to previous “classic” recordings? 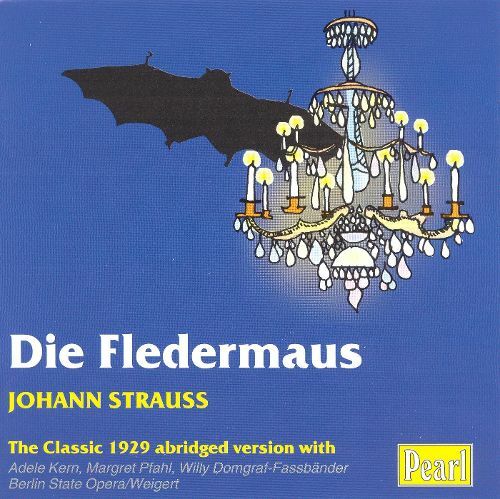 Is it possible to say what the “best” Fledermaus on disc is? 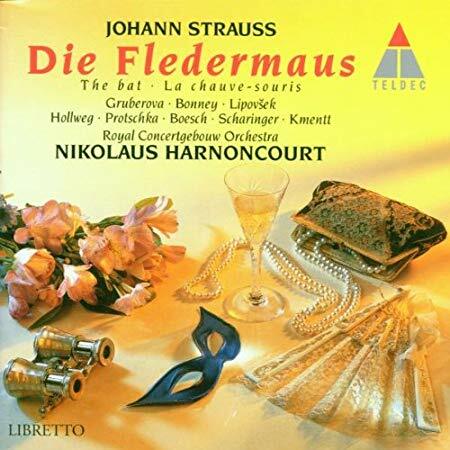 he “Fledermaus” recording on Pentatone, released in November 2018. Obviously, any such choice of “a favorite” is going to depend on your preferences with regard to voices and styles. While the 1874 world premiere at the Theater an der Wien did not include a single (!) opera singer from the neighboring Court Opera, or from any other opera company, nearly all available recordings today are entirely cast with opera singers and big symphony orchestras. 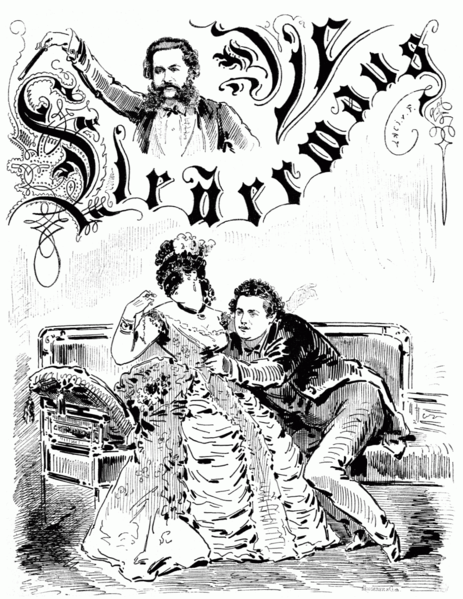 Drawing from the newspaper “Die Bombe” by László von Frecskay, showing Marie Geistinger as Rosalinde, Gabriels and Jani Szika as Eisenstein in “Die Fledermaus,” 1874. The 1936 radio recording of “Fledermaus” starring Hubert Marischka. But back to casting: The only version with a real operetta singer is the 1936 radio recording from Berlin which has Hubert Marischka as Eisenstein. It is amazing to hear how much he improvises along the way, and how casual his portrayal of the philandering husband becomes because of this. You get an idea how a full cast of such singing actors once worked. 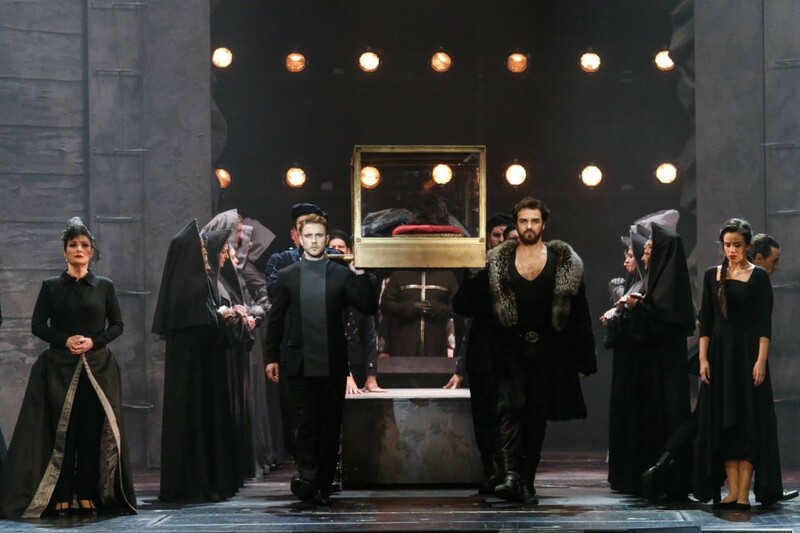 Here – we are already in the third year of Nazi reign – the rest of the cast is absolutely ‘classic’ in order to elevate Johann Strauss to the higher regions of Spieloper. Trude Eipperle as Rosalinde is not on Marischka’s level of interpretation. That said: Irma Beilke as Adele is charming in a standard sense of the word, as is the rest of the cast. The 1929 “Fledermaus” from Berlin with Adele Kern. The oldest recording, which also comes from Berlin, is the abridged 1929 studio version which has Adele Kern as Adele, a year before she made a real-life commercial operetta splash by premiering Emmerich Kalman’s Das Veilchen vom Montmarte. 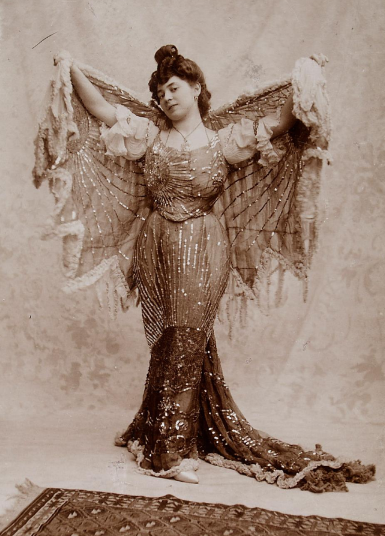 She never had an operetta career like Gitta Alpar, who is much more glamorous, vocally and otherwise, but Miss Kern demonstrates enormous flexibility as the lusty chamber maid. Obviously, she knew very well how ‘real’ operetta people play such roles. And she actually worked with such ‘real’ operetta people. Talking of informed performances: I’m not even going to mention Nicolaus Harnoncourt here. I consider his version with the Royal Concertgebouw Orchestra one of the greatest insults to the Historic Performance Movement ever. The Nicolaus Harnoncourt version of “Fledermaus” with Edita Gruberova and Barbara Bonney. So where does that leave things? 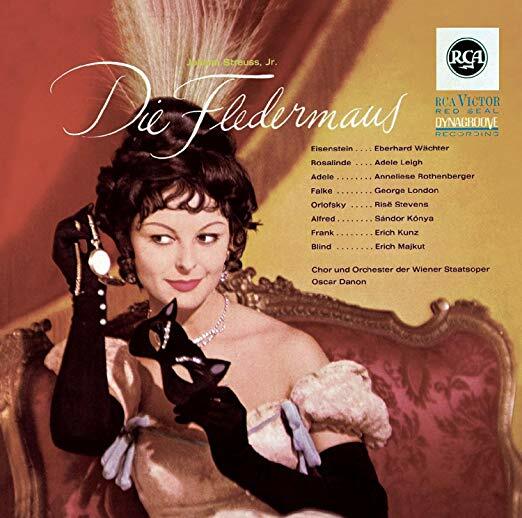 I grew up with and have always loved the Decca/Karajan recording, because Hilde Güden as Rosalinde is hilariously bitchy. And she gets the jokes of the second act seduction duet like few others, with Waldemar Kmentt as a superb Eisenstein at her side. Many people have raved about the inserted party guests on this recording from Vienna. And, yes, hearing Birgit Nilsson with “I Could Have Danced All Night” is fun, as is Renata Tebaldi with Lehár’s “Vilja,” or Ettore Bastianini and Giulietta Simionato with “Anything You Can Do” et al. If you want an English language version there is the double language version conducted by Oscar Danon on RCA. In the English version you have Anna Moffo as Rosalinde and Richard Lewis as Eisenstein, Jeanette Scovotti is Adele and Sergio Franchi Alfred. They are okay, but not outstanding – while the German version on this double disc is quite outstanding with Adele Leigh as Rosalinde and Anneliese Rothenberger as Adele. Sandor Konya is a seductive Alfred, nearly as attractive as Mr. Franchi. But: Risë Stevens as Prince Orlowsky is not a happy choice. The voice doesn’t move easily in this ‘light’ repertoire, no comparison to her Lady in the Dark recording. Here, she sounds embarrassingly off throughout. 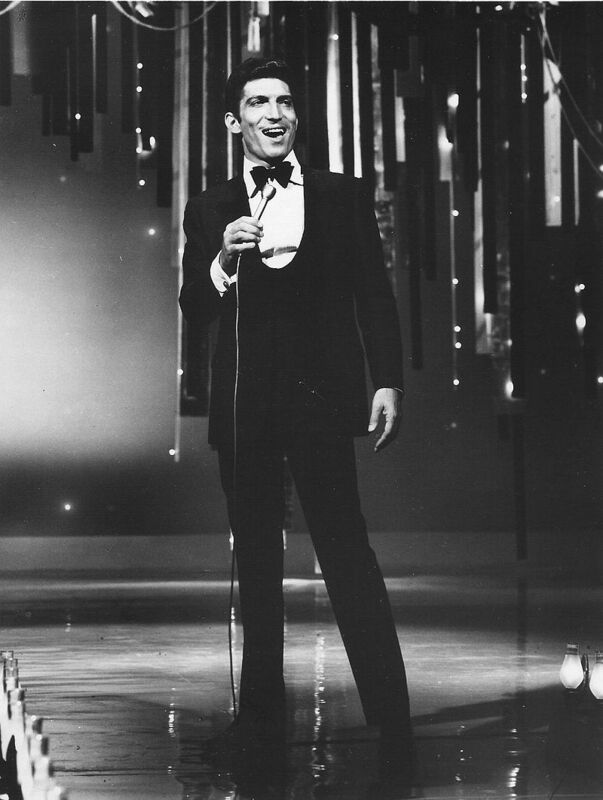 The latest version on Petatone has the advantage of being recorded live, with audience reactions. But the new dialogue written by Nikolai Schukoff – who also sings Eisenstein and inserts a never ending string of tunes from other operas/operettas – puts me off. I always liked the original libretto and see no reason to re-write it. But the new jokes are good and the enterprise is not embarrassing. Which is an achievement, compared to some Fledermaus versions in circulation. You get many fun performances on Pentatone, but they cannot erase memories of so many superb performances of the past. If I had to make one desert island pick, it would still be Decca’s 1960 recording with Güden, Kmentt and Erika Köth as Adele. There is also Regina Resnik as a highly individual and fun Orlowsky – making me forget the horror of hearing (and seeing) Wolfgang Windgassen as the Russian prince in the ill-fated Karl Böhm TV version that erases all cross-dressing from the operetta. Böhm and Windgassen follow the lead of Erich Wolfgang Korngold who re-wrote Fledermaus for Max Reinhardt in 1929, for the famous Berlin production. Back then, Oskar Karlweis was cast as Orlowsky. Which is quite a different ‘gender’ approach to Mr. Windgassen, because Oskar Karlweis is so incredibly ‘genderfluid’ (to use a modern word). And he’s a real operetta star who knew exactly how to deal with the genre, just watch his performance in Die Drei von der Tankstelle oder hear him in Abraham’s Märchen im Ganrd-Hotel. In both cases he created the lead roles that were specifically written for him. 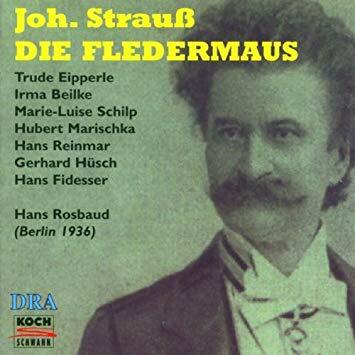 Sadly, I have not yet found a Fledermaus recording of his. 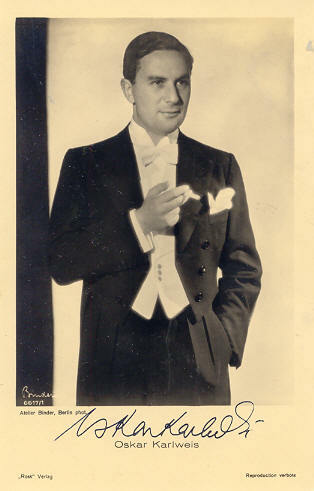 The actor Oskar Karlweis in 1929. Why anyone wanting to present the world with yet another new Fledermaus hasn’t opted for the Korngold Fassung is surprising, since it could at least claim some sort of novelty. And there are enough cabaret and musical comedy performers around to step into an Oskar Karlweis role! (Max Raabe comes to mind.) But you can also, and easily, find non-opera performers today who could handle the Strauss/Korngold score and sound totally at ease, like Hubert Marschika once did. Of course you are all invited to disagree with my Fledermaus preferences and choose other versions for your own reasons. And you are invited to share your thoughts in the comment section below. I look forward to reading them, should you feel like posting. Great overview. Agree with all. 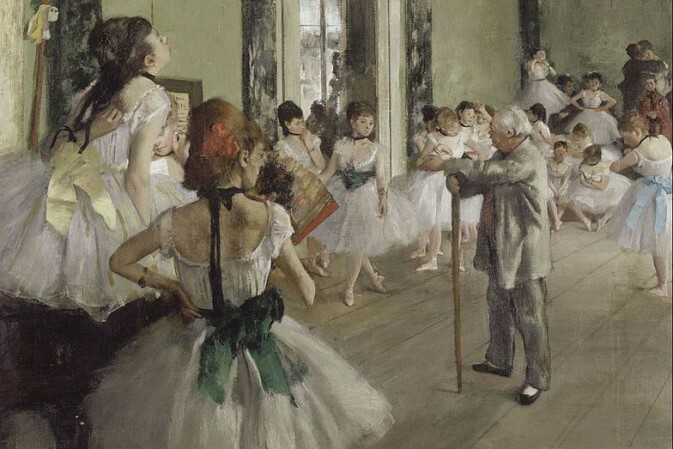 But one component not mentioned is the ballet music which varies widely from recording to recording. I think only the Karajan Gala set and the Harnoncourt use the full Strauss original music, though Decca has cut it off their CD issue of the set. (Another issue of that performance (I believe on the Regis label) manages to fit it in)I’ve never been able to locate the German Danon recording here in the States. What about the Bruno Seidler-Winkler recording from Berlin, Spring 1907? It’s with Robert Philipp, Emilie Herzog, Marie Dietrich and Hermann Vallentin as Frosch. I think, that’s the first (nearly) complete recording. I am still seeking a truly satisfactory rendition of this operetta. (The NDR version is a clear contender, but not best in class.) I do think the rambling Frosch monologue in Act 3 is important in evaluating sets, some of them grow dated and or tiresome very quickly. (Or are we to pretend this work is essentially finished after the sparkling completion of Act II?) I do prefer a German sung version because wonderful Strauss songs such as “Bruderlein” sound more comfortable to the ear with the original lyrics. Eugene Ormandy conducts a live Met performance, recorded in 1951, on the Myto CD label – it was once available on a Philips 2LP set – I seem to remember that the diction was so indistinct they could all have been singing in Russian!